UPDATE SATURDAY JANUARY 26TH AFTER 4 DAYS OF TRAINING: Praise the Lord our dear brethren, hoping all is well with you. We thank God for this wonderful week of learning how to make dresses, head coverings & vests for our sisters to be separate from worldly women to dress Godly and decently. I thank God because of our dear brother Joseph whom God gave wisdom on dressmaking. We had intensive teaching on theory and practical training for four days. Brother Joseph, thank you for your commitment, hard work and humble heart. You tirelessly taught us for four days and I was really impressed by the way you served. We also thank you our dear brother Jimmy for this incredible work, you always share your heart with “least of these” and we appreciate your prayers, word of exhortation and financial support and also that of our dear sponsors GMFC/WFF at large. 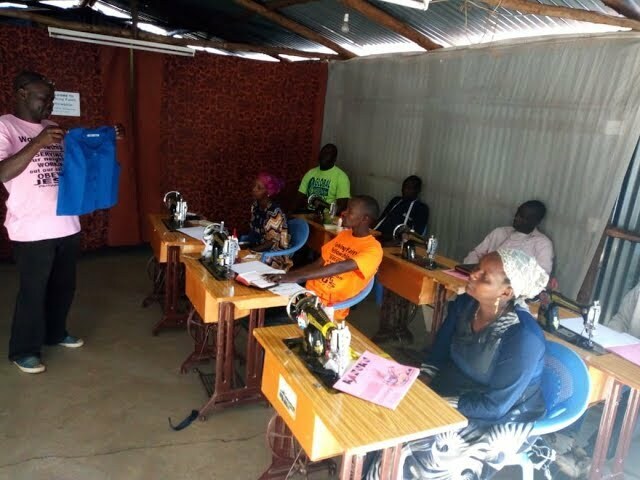 We will not only make dresses for our sisters, but having these three sewing machines will also be a way of generating resources for the mission work and give brethren income. We are going to teach our various mission fields in Moyale Kenya and Moyale Ethiopia how to make dresses as we have learned from brother Joseph. We had and incredibly blessed time in the Kibera Slum. Every morning, we were starting with open-air preaching at the Kenyatta Market then sewing training during the day and all night there was revival fellowship in the Working Faith Fellowship Church in the Kibera Slum. We are waiting for Sunday worship and Lords table tomorrow, God willing. Enjoy the video below. You may help us by clicking here.